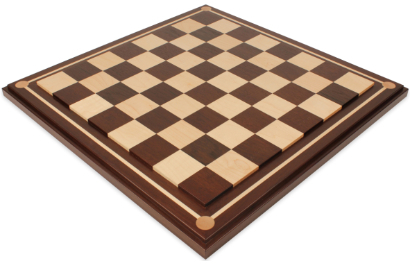 Our natural wood chess boards come in many different types of wood, sizes, and designs. Wood chess boards are an excellent choice for nearly any type of chess set including wood, metal, and theme. 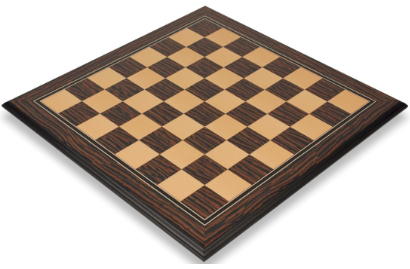 Our wood chess boards come from the top chess board makers in the world including Italfama in Italy, Rechapados Ferrer in Spain, and Mission Craft here in the USA. Refer to our Chess Board Guide if you need help determining what size of chess board you need.